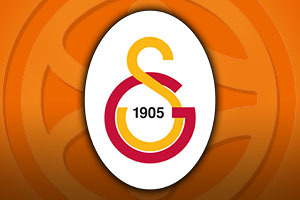 Spread Pick: Galatasaray with handicap +7.5 at 1.90 Over/Under: Under 152.5 1.90 Bet Now! 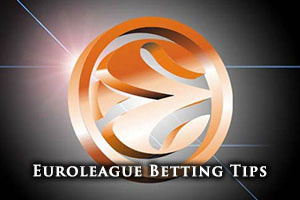 The nature of the Euroleague means that some teams can play each other on a number of occasions during a single campaign and this will be the third game between Crvena Zvezda and Galatasaray this campaign. If the last agme was anything to go by, the Friday night game should be worth watching as the last one was an absolute nail-biter. Galatasaray won with a three pointer from Zoran Erceg in double overtime, clinching the game in a 110-103 win. That game witnessed Marcus Williams grab a Euroleague record of 17 assists so it will be difficult for this game to live up to that match but there is certainly a lot to look forward to. The team from Belgrade come into this match with a 6-6 record but this includes a 0-2 record in the Top 16. This leaves Crvena as the only team in Group E without a win and they will be desperate to right that wrong in this one if they can. The team has managed to score an average of 76.9 points per game in the Euroleague and a lot of their play has flowed through Boban Marjanovic this campaign. The Serbian center has offered an average of 15.6 points per game and an average of 10.2 rebounds per game. Belgrade have also been boosted by the form of Marcus Williams, the US guard who has offered an average of 11.8 points per game, an average of 3.8 rebounds per game while also grabbing an average of 6.7 assists per game. While the Euroleague has posed some problems, Crvena have been in excellent form in the Adriatic League, winning 17 games in a row to hold a 17-0 record. Mind you, their last game was a close one, winning 75-77 away to Mega Leks. Galatasaray have a 5-7 record overall in the Euroleague this season but they have at least won a game in the Top 16, coming in with a 1-1 record in their two games so far. The team has served up an average of 79.9 points per game in the Euroleague and the key man at the front of their points scoring has been Zoran Erceg. The Serbian center has offered an average of 17.6 points per game while also providing an average of 4.9 rebounds per game. Galatasaray have also been boosted by Carlos Arroyo, with the Puerto Rican guard providing an average of 14.4 points per game while providing an average of 4.5 assists per game. Turkish forward Kerem Gonlum has helped out, providing an average of 7.5 points per game and an average of 5.3 rebounds per game. Things haven’t been going too well in the domestic league for Galatasaray who hold an 8-7 record and sit in 7th place. They did at least manage to win their last game, grabbing an away win against TED Kolejiler by a score of 67-75. With respect to betting, taking Galatasaray with a handicap of +7.5, at odds, of 1.90 is likely to be a sensible way to get involved on Friday night. If you are looking for the Over/Under market, you should look at the Under 152.5 at odds of 1.85 for this one. Both of these bets are available with bet365 and if you want to see the big match between Crvena Zvezda and Galatasaray live, we can help you out. Bet Now!